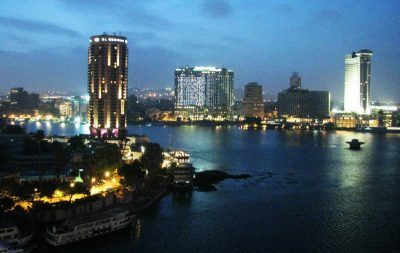 YOU probably know that the Nile is Africa’s longest river, and Victoria its biggest lake. But there’s much more to the story. Africa’s 63 international river basins cover about nearly two-thirds of the continent’s land area; they are also home to some 77% of the population, data from UNEP’s Africa Water Atlas shows. In addition, Africa has more rivers shared by three or more countries than any other continent. 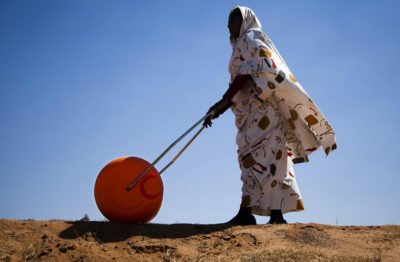 In the past century, nearly two-thirds of all international water agreements have been signed in Africa (94 out of a total of 145 agreements), dating back to the late 1800s. Africa’s rivers have dramatic seasonal variability, which reflects rainfall patterns in their respective basins. The Congo River has a basin area of 3.6 million km2, but runoff or discharge at its mouth is 341 mm, which is more than twelve times that of the Nile River, whose comparable basin size covers 3.1 million km2 – the difference is mainly due to the intense year-round rainfall that falls in the Congo’s catchment area. Africa is also home to some of the world’s largest natural lakes and dams. In terms of volume, Africa’s natural lakes and dams have a combined capacity that is twenty times that of Latin America’s, the data shows. 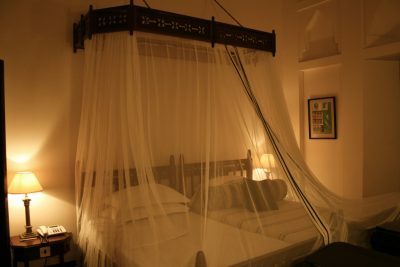 Although it is relatively shallow, Lake Victoria is the second-largest freshwater lake in the world, with an area of approximately 68,600 km2. Lake Chad is the shallowest major lake on the continent, but still the fourth-largest in Africa in terms of surface area; it is also the largest wetland in the Sahel region. The Lake Chad basin, with a surface area of 2.5 million km2, is the largest endoreic basin (interior drainage basin) in the world. In the 1960s, Lake Chad was about 25,000 km2 in surface area, but it experienced a rapid shrinkage in the early 1970s and has since been fluctuating between 2,000 and 15,000 km2, depending on the season. The significant shrinkage experienced since the 1960s is due to a combination of severe droughts and excess drawing of water for irrigation. 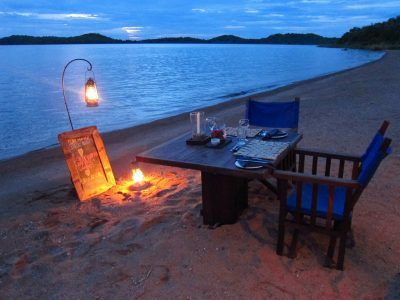 Lakes Tanganyika and Malawi/Nyasa are the world’s second- and third-deepest lakes respectively, after Lake Baikal in Russia. 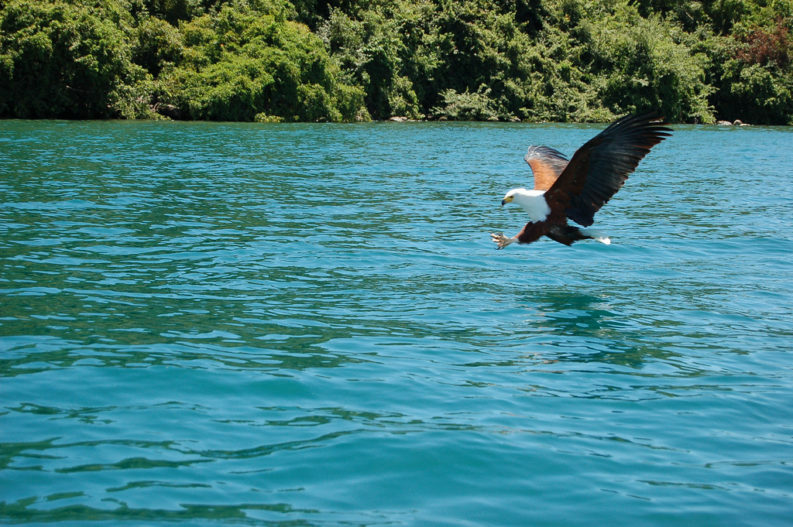 In fact, Lake Tanganyika is so deep that it holds 1% of the total volume of freshwater on the earth’s surface. Africa’s natural lakes have very diverse origins. 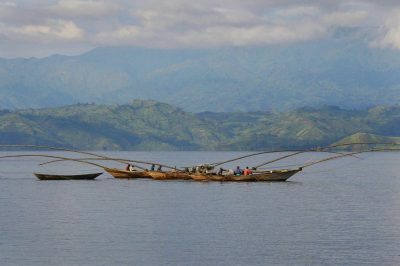 Those along the East African Rift Valley (Lakes Malawi, Albert, Tanganyika and Turkana) are deep tectonic lakes; some lakes were formed by volcanic action, such as Lake Kivu in Rwanda/Democratic Republic of the Congo. There are also shallow floodplain lakes such as those in the Okavango Swamps. The East African Rift Valley has many soda lakes; in addition, Africa also has some high altitude lakes of glacial origin. 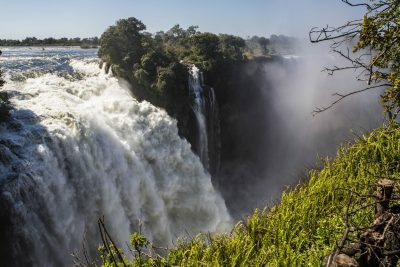 South Africa and Zimbabwe have the most dammed rivers and among the world’s countries with large dams, ranked 11 and 20 respectively. Still, dammed rivers are relatively scarce in Africa outside these two countries: There is about one dam to every 683,000 persons in Africa, while the equivalent figure for the rest of the world is 168,000.